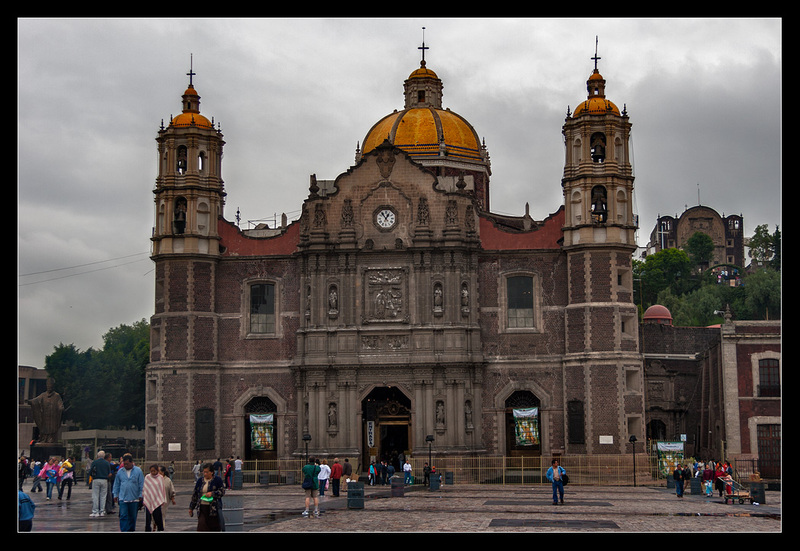 Metropolitan Cathedral of the Assumption of MaryINFO: Mexico City is the Federal District, capital and largest city of the Mexico and Americas… Teotihuacan is an enormous archaeological site in the Basin of Mexico, containing some of the largest pyramidal structures. Teotihuacan is also known for its large residential complexes, the Avenue of the Dead, and numerous colorful, well-preserved murals. Teotihuacan was the largest city in the pre-Columbian Americas. Our tour started one hour earlier than usually with reason the we stayed on the opposite side of city. As usually crowded streets and many stops before we arrived in the right area to rejoin with the rest of the group. Weather was cloudy with chance of raining. First on the list was largest and oldest cathedral in the Americas and seat of the Roman Catholic Archdiocese of Mexico, Metropolitan Cathedral of the Assumption of Mary. It was situated a top the former Aztec sacred precinct near the Templo Mayor on the northern side of the Plaza de la Constitución in downtown. Our guide explained whole history of this place during the walk around and later we visited a tourist shop with souvenirs. Next place to visit was Teotihuacan. We arrived on the parking area where our guide collected tickets and quick explained what we are going to do and how long time was before a lunch. I wish I had my camera equipment as I have today but only camera I had was my Canon 20D and 17-85. It is not bad camera but today’s technology is much better than many years ago. Teotihuacan - The Sun pyramidAfter guided tour at the complex it was the time for personal exploration. Teotihuacan was much bigger and impressive than expected. Just walking the Avenue of the Dead and seeing how big and enormous the Pyramid of the Sun was with all people on their way up to the top. The moon pyramid was smaller then the Sun pyramid and located in the end of the avenue. My plan was to climb on the top and take wide panorama shot. After climbing the Moon pyramid I was really exited and my attempt to climb the Sun pyramid was interrupted by heavy rain. Of the security reason climbing was canceled for many visitors and we left the whole site and want to the restaurant. After good vegetarian meal the adventure was over and it was time to go back to the hotel. CONCLUSION: One day I will definitely return to this place and properly document with better equipment. If you are visiting the Mexico City than don’t miss the opportunity to visit this magnificent place! INFO: United Mexican States or Mexico is the fifth-largest country in the Americas by total area and the 14th largest independent nation in the world. It is bordered on the north by the United States; on the south and west by the Pacific Ocean; on the southeast by Guatemala, Belize, and the Caribbean Sea; and on the east by the Gulf of Mexico. In Pre-Columbian Mesoamerica many cultures matured into advanced civilizations such as the Olmec, the Toltec, the Teotihuacan, the Zapotec, the Maya and the Aztec before the first contact with Europeans. In 1521, Spain conquered and colonized the territory, which was administered as the vice royalty of New Spain which would eventually become Mexico as the colony gained independence in 1821. YEAR: Autumn 2001, Summer 2006 and Summer 2009. Year 2001:I spent two weeks of my vacation on Yucatan peninsula with some friends. 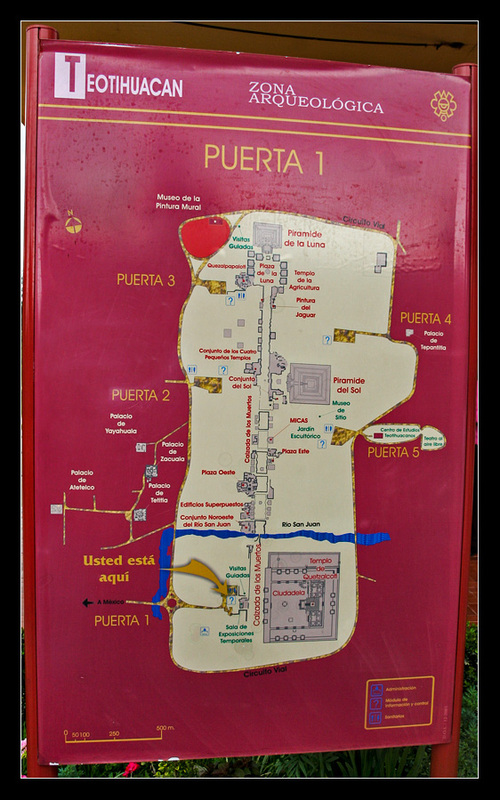 We where in a place called Playa del Carmen, well known as a tourists paradise and most visited by European tourists. I don’t remember so many details from this trip other than visiting Merida and Uxmal pyramid area and the well known Chichén Itzá. Summer 2006: This years plan was to visit Mexico City and the coastal city Vera Cruz. Both of these cities are rich in history with ruins from two ancient pre-Columbian cultures. First on the list were Vera Cruz which we reached after a long bus ride. We stayed for about one week. There we explored cities rich in history and its surroundings, being guided by a private tour guide who was an expert in archaeology and also a published writer. Mexico City was a big and over-crowded city covering a huge area. 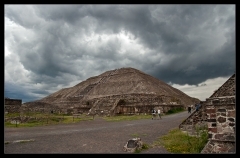 The reason for visiting was a special location called Teotihuacan. Apart from the pyramidal structures, Teotihuacan is also known for its large residential complexes and the “Avenue of the Dead”. Here we spent two days in total. Summer 2009: This year we spent ten days on the beautiful peninsula Yucatan and Cancun, a coastal city in Mexico’s easternmost state. The city center was located on the mainland which connects the Nichupté and lagoons to a narrow 7-shaped island, where the modern beachfront hotels are located in the tourist centric hotel zone. 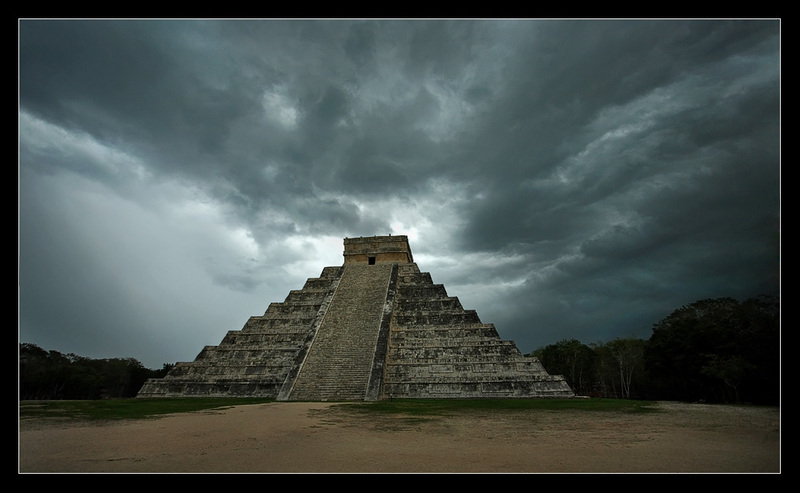 We had two adventures, the first by visiting the famous and one of the new seven wonders; Chichén Itzá and secondly Isla Mujeres. Isla Mujeres was located off the coast and was only accessible by boat from Puerto Juárez.